I am so excited to participate in the first "Trade and Grade" with an excellent group of blogger friends! We are "trading" products and then "grading" them to let you know how we used them, how we liked them and to give you a tiny snippet you can use in your classroom to test out on your own! I am even more excited to be paired up with Brenda Frady from Primary Inspired... she is a fellow Hoosier, has tons of great ideas and is so super sweet! I have loved working with her and discovering her products! You can find Brenda's blog Primary Inspired by clicking on her button below! I decided to review Brenda's I-Spy Addition packet. I do math stations in my classroom and I have to say that my kids were BEGGING to go to this station. When the kiddos want to go somewhere other than Sumdog on the computers you know you have a winner! Students search through the pictures to find addition problems, add the problem up and then write down the sum. They tally the sum each time they find it and then graph how many of each sum they find. There are so many different skills in one activity! Once I saw the I Spy Addition packet I knew I had to have more! 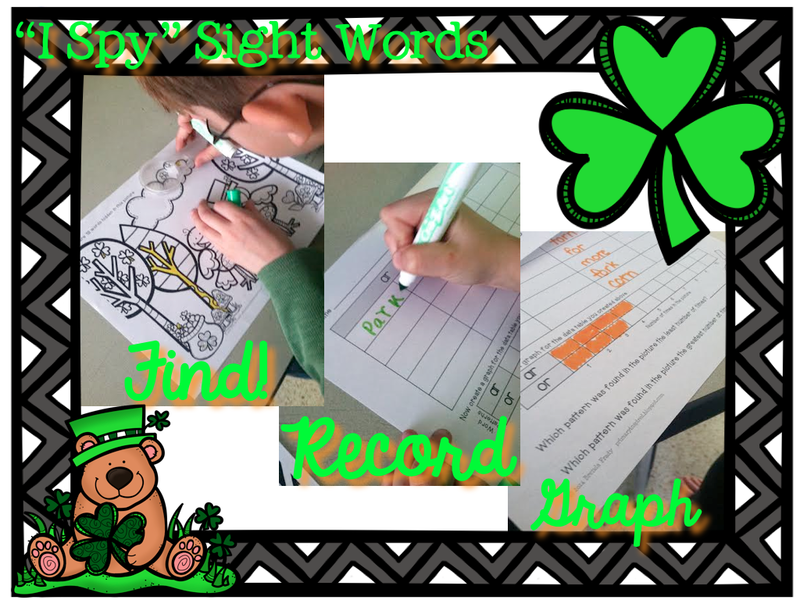 The I-Spy Sight Words was just as big of a hit in my Word Work center. My students found the words in the -or and -ar pattern, recorded them and then graphed them. This was a much needed pick-me-up for my Word Work center at this time of the year! Finally, I added the March writing packet to my writing center. It's amazing how much just changing out themed writing paper can inspire students to write! Also included in these packets are writing prompts. Brenda shows them on popsicle sticks in her preview. I simply placed them on a metal ring and hung them from a hook on the center. You could also place them in a jar for students to pull out randomly. I will probably change this up each month so the kids stay excited to see the prompts! 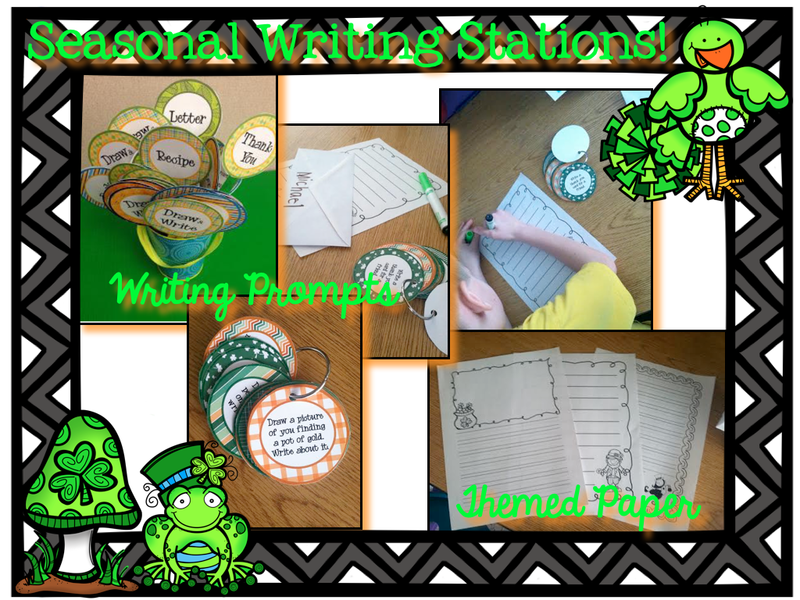 It is such an easy, fun, and quick way to revive your writing station for each season! 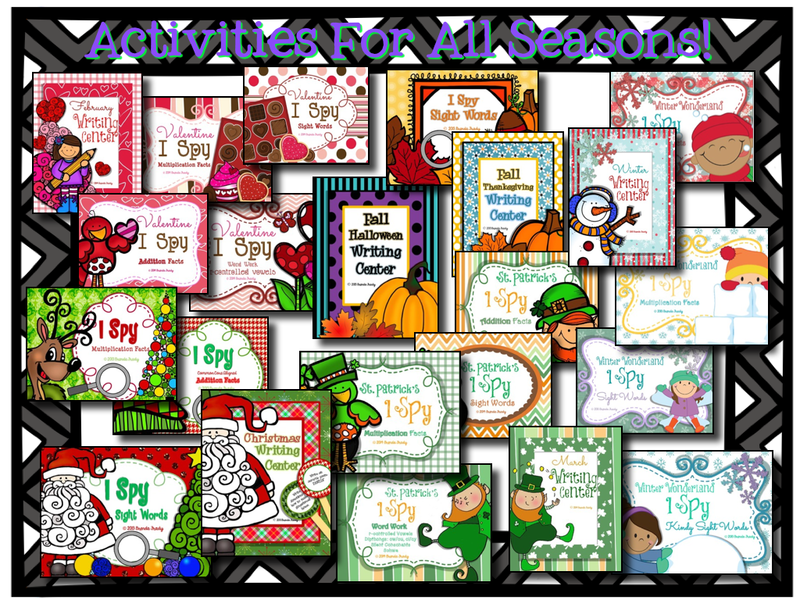 There are activities like these to use throughout the year! Click on the image below to head to Brenda's TpT Store to check them out! 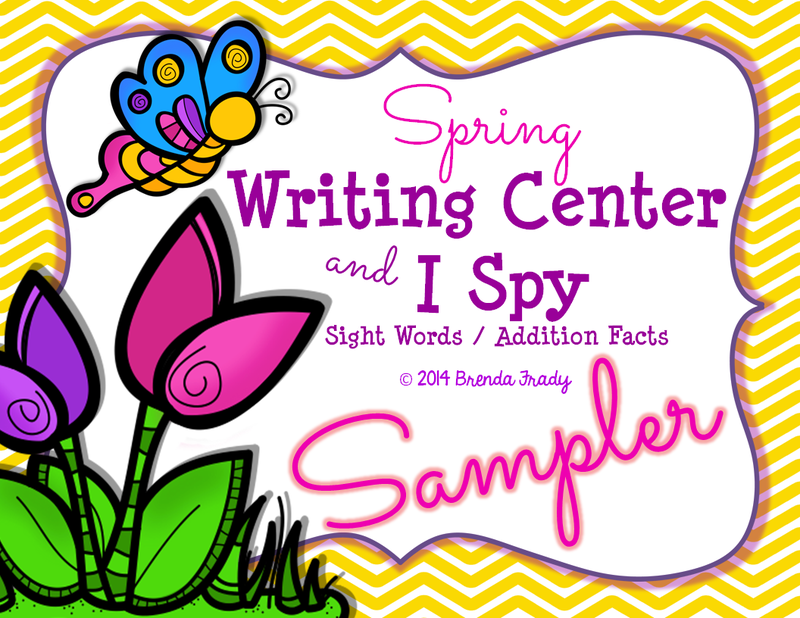 Brenda is offering up this awesome freebie preview of her activity for Spring! You can click HERE or on the picture below to go grab it up! You don't want to miss out on it! 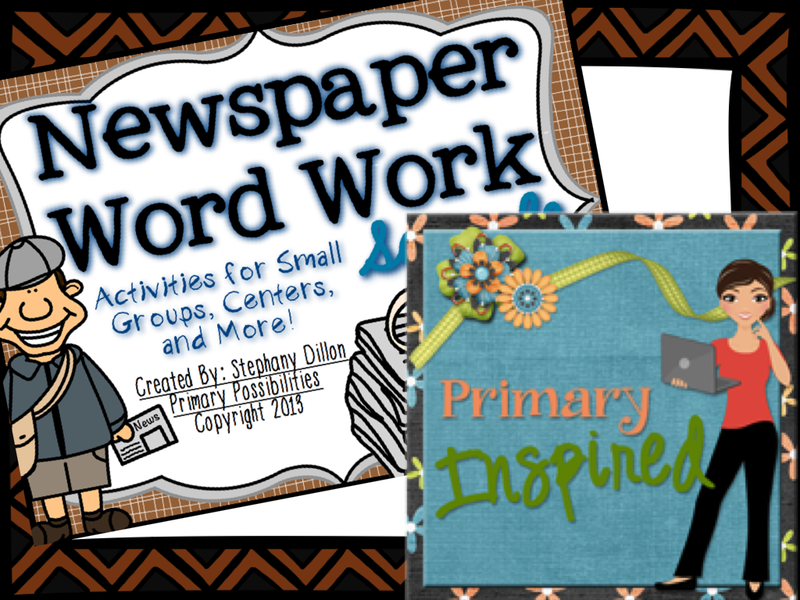 Head on over to Primary Inspired to see Brenda's review of my "Newspaper Word Work" printable packet by clicking on the image below! You can win some of the products included in the "Trade and Grade" by entering the rafflecopter below! Click on the "Trade and Grade" images below to go check the link-up of other bloggers who are trading & grading! I loooooove the cute little prompt circles! 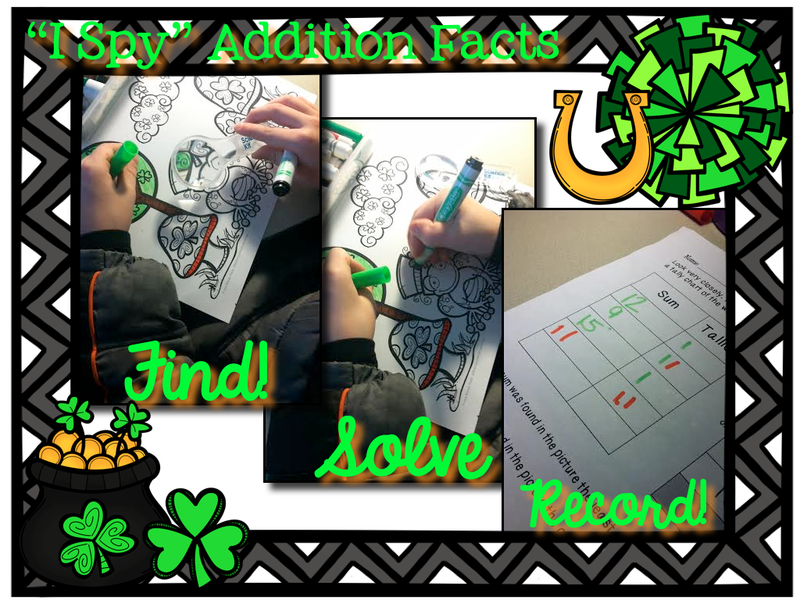 My kids adore I Spy...this looks like a great product! Thank you, Tiffany! I hope you enjoy the Sampler Pack download! I would really trade these smart, nice creatures. I like them to decorate. Gambling site in full format. St. Patrick's Day and Spring Break!